To make more space for your computer, you may have to delete some MOV videos that have watched for many times. However, some of you will feel reluctant to give up the wonderful clips. No problem. There are majority of free MOV video cutters come to rescue, giving you a hand to make an eye-catching video in smaller size. Definitely, it will cost you much time to look for a decent MOV video cutter from a large range of choices. Here we will help you narrow down the scope and briefly list top 6 best free MOV video cutter for your reference. Now, let's jump to the next part to see what they are. As one of the most prevalent video cutting programs, Free Video Cutter is a good choice for you to leave out any unnecessary sections from the original large MOV video. Under the help of this simple tool, you can get an access to save your destination cuttings into any different format, like MPEG4, DivX, WMV, MOV, FLV, MP3, etc. Designed with a clean and safe interface, it allows users, especially newbie, to split MOV videos with ease. Moreover, its well-developed single displaying window delivers a wonderful platform to you to preview video directly. Apparently, from its uncomplicated design, you can know there are only some basic editing features provided to meet your needs. Supposing that you want to adjust the sound's quality, you can have no way to do it. 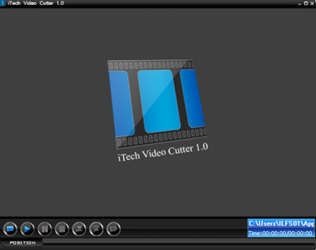 If you are looking for a complete freeware to manage your MOV videos, Cute Video Cutter Free can come in handy, assisting you to cut off needless segments quickly. It can do well in processing a wide range of media formats, such as AVI, MOV, MP4, FLV, DVD, VOB, ASF, SWF, etc. Certainly, you can also output your MOV videos to other popular devices, including iPhone, iPad, BlackBerry, Apple TV, etc. This handy MOV video trimmer can make region selection easy by presenting all clips in the interface for your looking through. 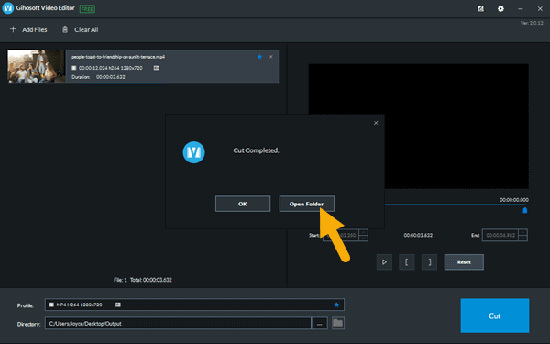 Only by setting both start and end points, you can remove unwanted MOV video parts. Besides, it also empowers you to change the video resolution with an adjustable quality option. Any video snapshots can be taken from your MOV video, which can stores on your hard drive in the form of JPG or BMP. 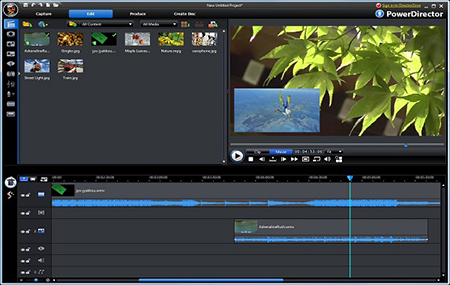 Powerful as iTech Video Cutter is, it can be considered as a fairly efficient MOV cutter. It is able to facilitate you to extract or crop exact fragments from any MOV videos by splitting the undesired content in both begin and end. It also includes full support for all general video and audio formats, for instance, MOV, VOB, AVI, WMV, DAT, MPEG, ASF, WMA, WAV, MP3 and so forth. Alternatively, it is capable of performing as a media player to let you watch any audio and video files at discretion. By extremely taking advantage of this preview feature, you can get a chance to view your MOV cuttings in full screen flexibly. Aiming at getting rid of boring spots to shrink a large MOV video file, Moo0 Video Cutter is developed to bring up a reliable solution to users. No matter whom you are, a new starter or a experienced professional, you can utilize this smart MOV splitter without hassle. It enables you to output destination video as AVI, MKV, MOV, FLV, OGG, WMV, RM, M4V, etc. Furthermore, there are two available methods listed for you to choose trimming area. According to your own preference, you can feel free to manually input the designated start time and end time. Or you can move the navigation tool to jump specific temporal interval. 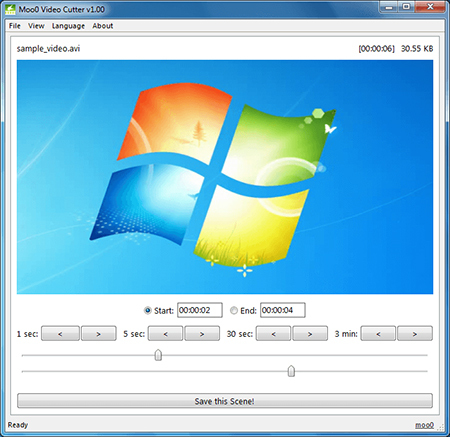 Without quality compression, you are allowed to split audio tracks from the original MOV video and save satisfying portions to your PC directly. 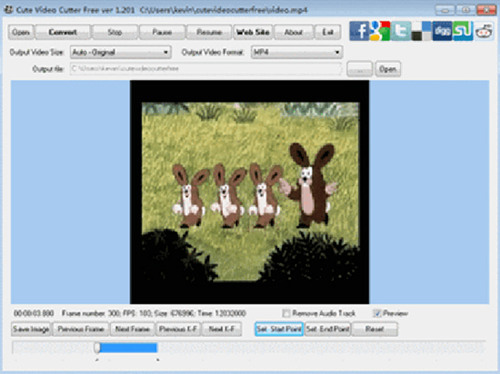 Gihosoft Free Video Cutter is an ideal MOV splitter that comes with various supportable formats, for example, AVI, MPEG, MOV, MPG, VOB, RM, ASF, WMV, MKV, FLV, DVD and MP4. With only few steps, you can obtain a high-quality video clip instantly. Thanks to the spin button, Gihosoft Free Video Cutter also offers ability to control the imported video in every second precisely. What's more, you don't have to its compatibility as there are both Windows version and Mac version designed. Specializing in processing video files, PowerDirector is one of the most advanced MOV video cutters. As its name suggests, it comes with a series of powerful characteristics. You are entitled to import MOV video that up to 600MB size. You can also apply it to merge clips on distinct timeline tracks. What is noteworthy is that this excellent trimming app has capability to produce a vertical video, which can be shared to YouTube, Vimeo and Facebook at your own will. One more delighting point is that it comes with an intelligent color correction feature to adjust the lighting, analyze footage, change saturation, etc. All above-mentioned MOV video cutters are created with the purpose for facilitating you to shorten a large MOV video file by eliminate unnecessary sections precisely. With no cost, you can realize what you want easily. If you are a new beginner, you can try some video trimmers with basic function for cutting MOV files, such as Free Video Cutter and iTech Video Cutter. If you are seeking a more dedicated MOV splitter, then PowerDirector can be your top priority. Nevertheless, if you don't have faith in them and prefer to more professional MOV cutter, Joyoshare Media Cutter, one of the most professional cropping programs, can be the optimal option for you. By utilizing it, you can trim MOV videos losslessly at up to 60X faster speed. Essentially, it is capable of extracting audio from your MOV video as well. If you show interest in it, you can head to its free trial to learn more.